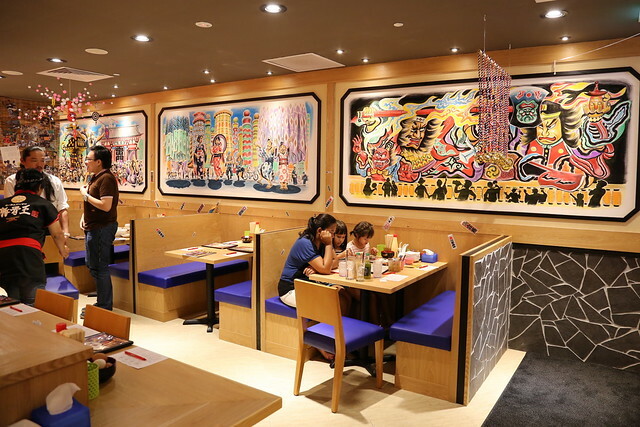 Ramen Keisuke Tonkotsu King Matsuri Opens at Parkway Parade - Finally Good Ramen in the East! Yay! Finally! Good ramen comes to the East, and right here in my neighbourhood! I was seriously happy when a few weeks back, I saw the Ramen Keisuke hoarding up at Parkway Parade, where Ajisen used to be. I could not have asked for a better replacement - while we have many brands to choose from, few of them can topple Keisuke as one of the best ramen in Singapore. 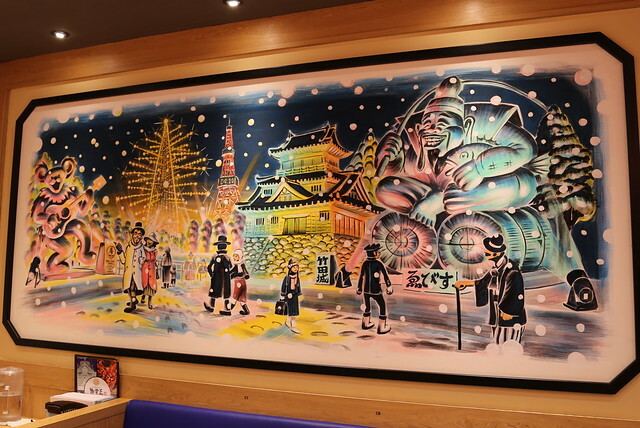 When you walk into the restaurant at Parkway, you will immediately see this huge, vividly colourful paper lantern fashioned after the illuminated Nebuta floats of Aomori. 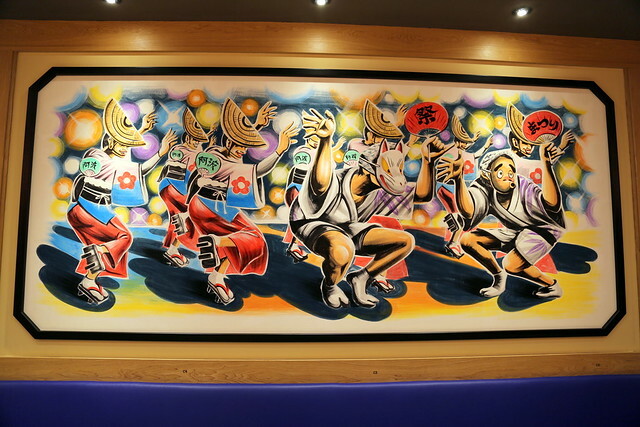 They often depict warriors, mythological beings and historical characters. What an awesome centrepiece for the ramen counter! 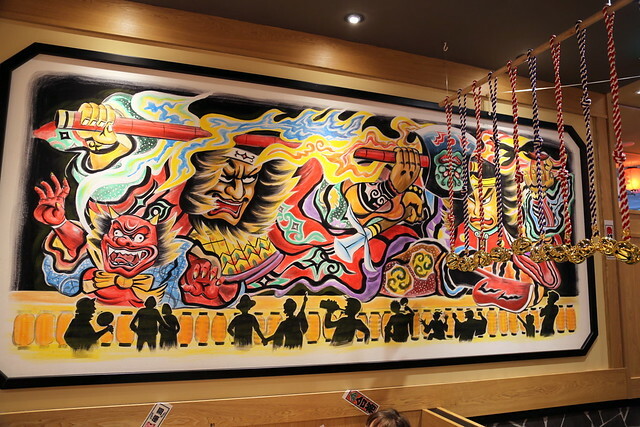 The Nebuta paper lantern and the large wall paintings showcase the theme at this sixth outlet -"Matsuri" - the vibrant cultural festivals that celebrate important milestones and seasons in Japan. The matsuri is close to every Japanese person's heart. It is where they can relax, soak in the atmosphere and enjoy the food that accompanies the festivities. Similarly, Keisuke Takeda hopes his restaurant can earn a similar place in diners' hearts. Sanjya or Sanja Matsuri celebrates the three founders of Sensoji Temple in Asakusa. 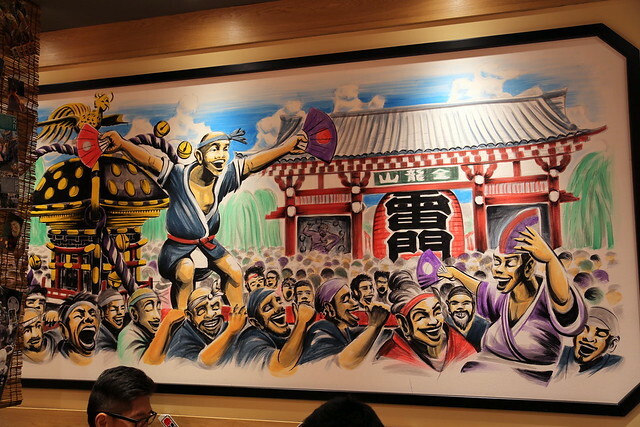 It is one of the biggest Shinto festivals in Tokyo, and takes place in May. As an ode to the three "kami" spirit personalities, the ramen features three types of spicy sauces - a red chili, a green chili and a special black spicy paste (Sichuan pepper, shichimi or seven flavour pepper, black sesame and mince pork) that has been created exclusively for this outlet. Each of these three sauces has their own distinct taste, but when mixed together, they form an unusual signature that's more smoky than spicy. Visitors flock to the Nebuta Matsuri in Aomori every August to see the procession of enormous and brilliantly painted lantern floats flanked by taiko drums, dancers and musicians. Aomori is also known for little sardines known as iwashi, which are usually sun-dried to concentrate their flavour. 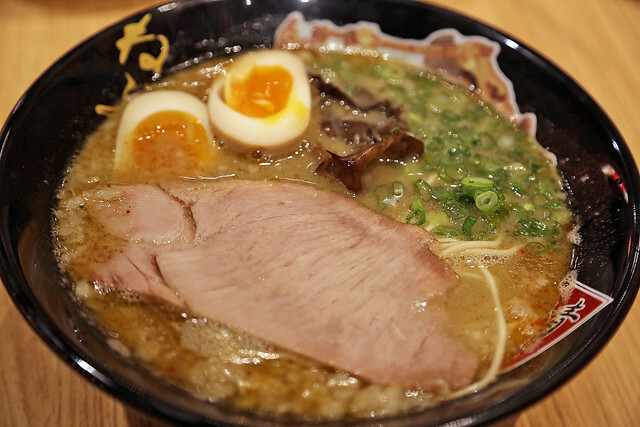 The Nebuta ramen blends tonkotsu broth with niboshi broth made from iwashi dashi (stock). It is the most umami of the four ramen, and even though it seems to be the most "simple", it is probably the easiest to like. Awa Odori is one of Japan's most famous dance festivals. It takes place every August in Tokushima City, the capital of Shikoku island. 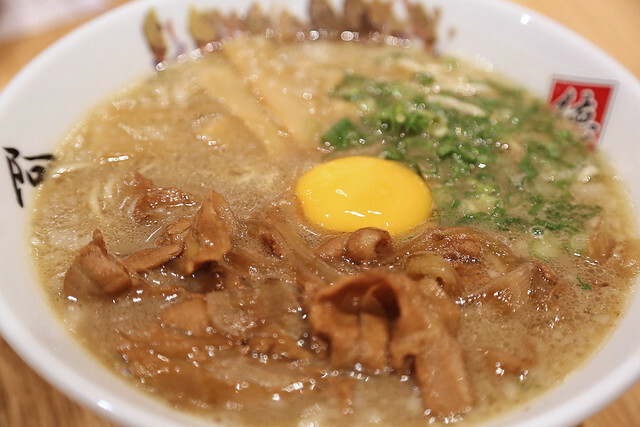 Tokushima-style ramen is very popular in Japan with its original topping of pork sukiyaki. 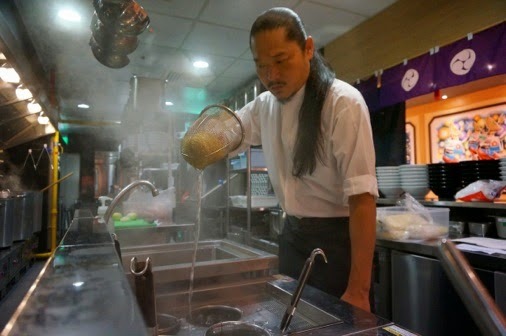 Keisuke-san has added his own touch with his secret recipe pork sukiyaki and a raw egg yolk. This is also the sweetest broth, enhanced by caramelised onions and the seasoned pork. The Sapporo Yuki Matsuri or Snow Festival is held in Hokkaido every February. More than two million visitors come to see the incredible snow and ice sculptures. 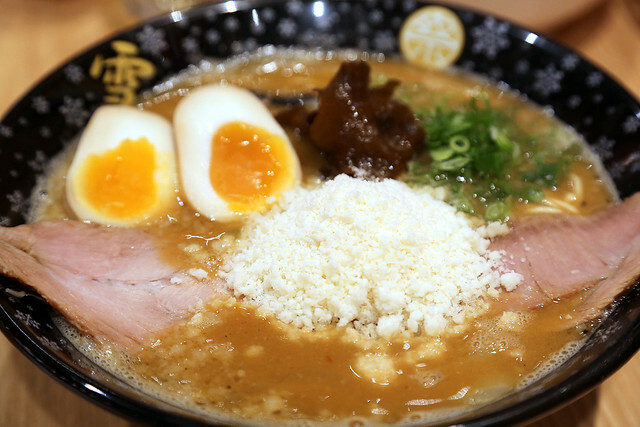 Sapporo is well-known for its miso ramen, and Keisuke-san has added a twist to his tonkotsu-miso stock with cheese powder resembling fluffy Hokkaido snow. 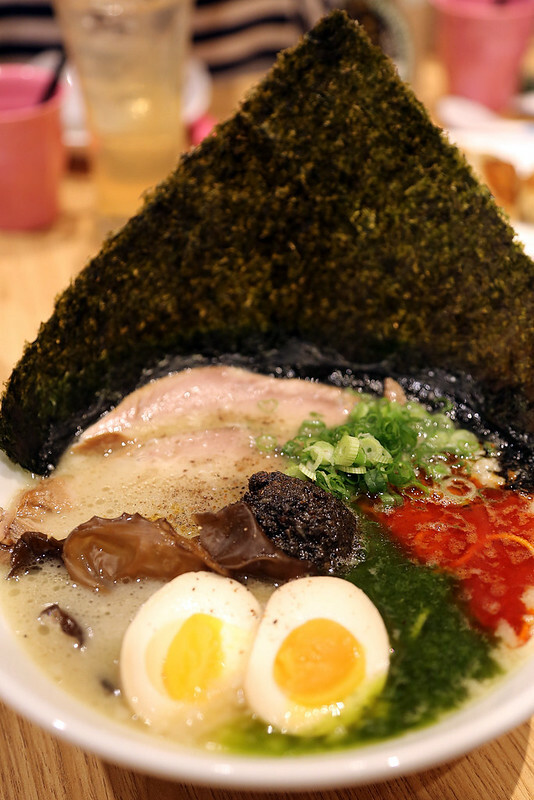 While they are all based on tonkotsu broth, each of the ramen creations has its own character. 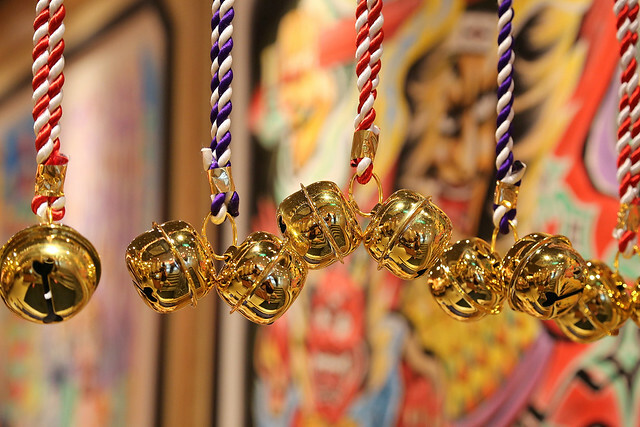 In essence, the Sanjya is smokily spicy, the Nebuta is savoury, the Yuki Matsuri is creamily salty and the Awaodori is sweet. Something for every palate. 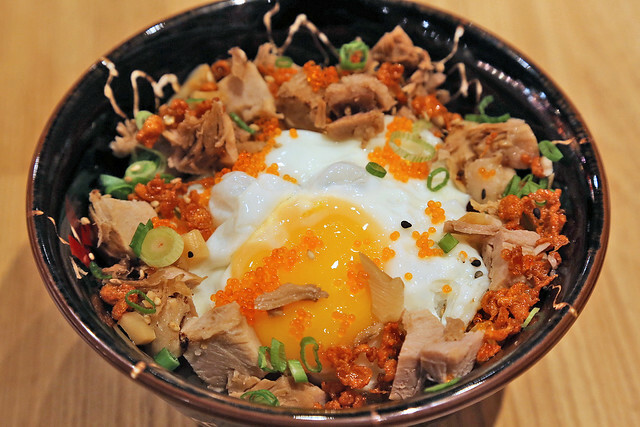 Most of the ramen are priced from S$13.90 for the most basic bowl, to S$18.90 for the works. Portions are incredibly hearty. You can, as usual, customise your ramen according to ingredients, noodle texture, broth strength and amount of flavoured oil. The same beloved soy-sesame seasoned beansprouts and hard-boiled eggs are also available on each table. 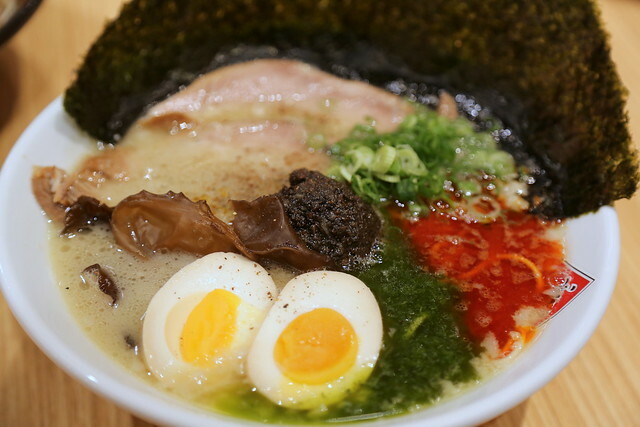 Apart from the four key creations, this outlet also serves basic tonkotsu ramen, shio (salt) and shoyu (soy) broth ramen made from chicken stock (all from S$11.90). So there are seven ramen varieties available. 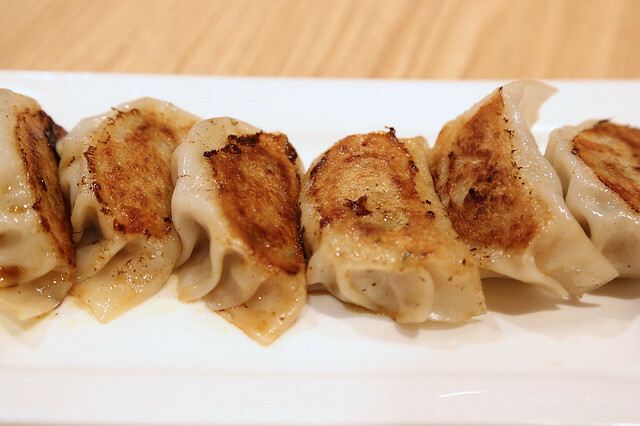 There is also Gyoza (S$3 for 3 pieces; S$6 for 6 pieces). Large juicy pork dumplings similar to what you can get at his Gyoza King outlet. I was thrilled to see Nanban Chicken! In my Kyushu travels last year, I had tracked down the originator of nanban chicken in Nobeoka City, Miyazaki, but the queue for the shop was so long around the block, we gave up. The Chicken Nanban with Tartar sauce (S$9) here is pretty darn good. It caters to family palates, so the tartar sauce (more like an egg mayo) leans a little to the sweet side. There's also a Chicken Teriyaki (S$8) side dish. There are also a few rice bowl options (for those who can't live without rice). I do like the Matsuri Meshi (S$7) which looks so festive with brightly orange tobikko dancing around cubes of chasyu and a fried egg. The rice is dressed with a specially blended shoyu too. Buta Meshi (pork sukiyaki on rice, S$6.50) and Soboro Meshi (minced chicken on rice, S$5.50) and a fried rice (S$8) complete the menu. 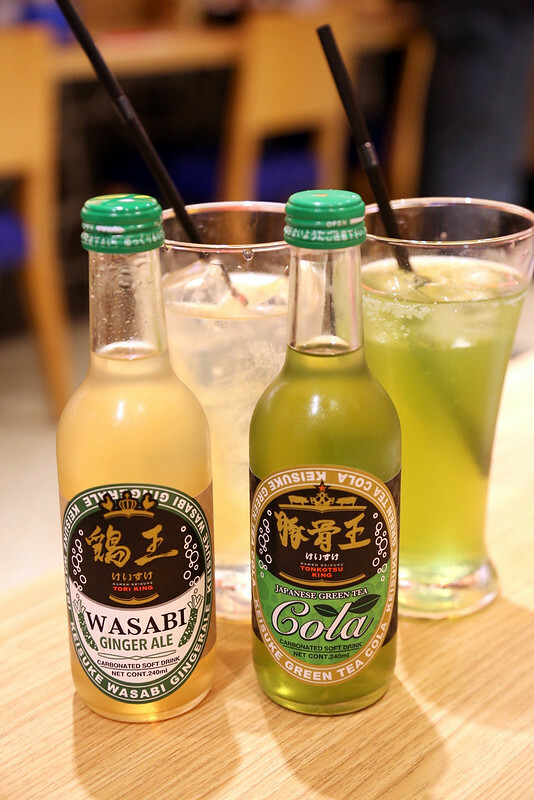 Keisuke-san also bottles his own Green Tea Cola (right) and now a Wasabi Ginger Ale (left). Both are light and refreshing, but if you prefer, there's Ayataka green tea or Sapporo beer too. This outlet is quite family oriented, as befits the profile of the shopping mall patrons. 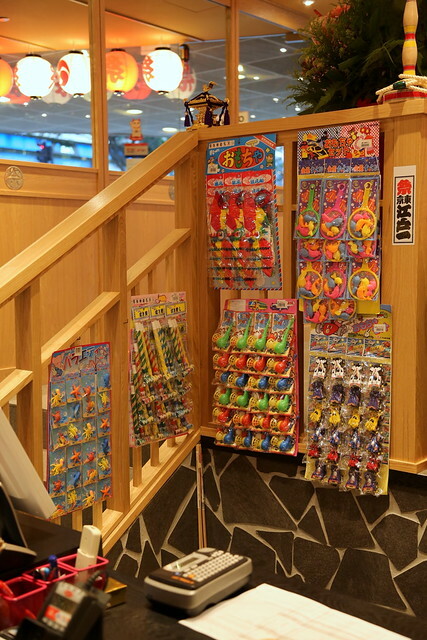 They have thoughtfully included traditionally loved toys as part of kids' meals. There is also a drum at the exit that they sound to thank diners as they leave. It's fun. The soft opening is today, 22 July 2014, and the outlet will start with ramen dishes first and ramping up to the full menu in the week ahead. These festive bells seem to be ringing in the good news - more outlets are being planned! Where do you think Keisuke-san should open up next? 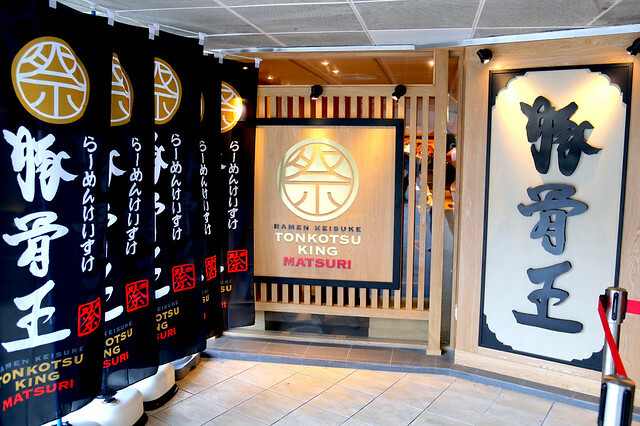 Along with the success of his five earlier outlets like Tori King (which he has since introduced to Japan as well) and Tonkotsu King Four Seasons, it looks like Keisuke-san is on a roll. We just can't get enough of the ramen king. Yes, he is very creative. It's a wonderful idea, really! Tying in the festivals to ramen flavours. This is going to be my favourite eatery at Parkway.